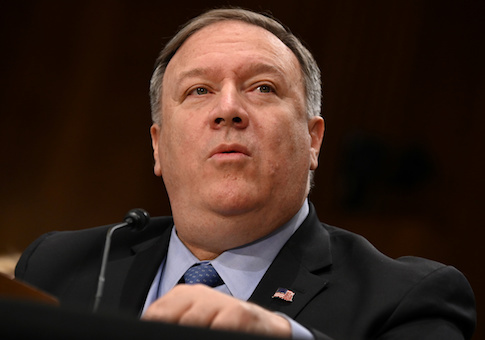 WASHINGTON (Reuters) – U.S. Secretary of State Mike Pompeo said on Wednesday that President Donald Trump will continue to increase pressure on Iran, but declined further comment on the possibility of waivers for countries that import Iranian oil. Pompeo told a U.S. Senate committee that he had "no announcements" on waivers, particularly in an unclassified setting. "I can assure the rest of the world that President Trump will continue to ratchet up the pressure on the Islamic Republic of Iran so that their behavior will change," Pompeo said.